In the first article in this series, I introduced the game of Pokémon from a parent’s perspective, and how to get into it so you can play with your children, teach them how to be better players, and become a decent player yourself. That article generated many good comments, so be sure to check them out. 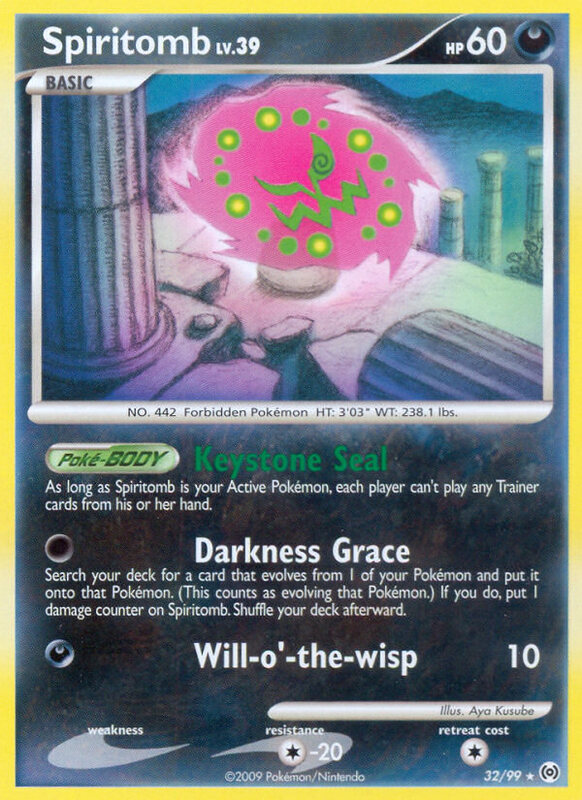 In this article, I would like to explore the anatomy of a Pokémon deck in considerable detail. My goal is to give you a good understanding of decks (without going into specific decks), so that you can get your bearings on the very detailed strategy articles that appear here at Six Prizes and elsewhere. I’ll also tie in some of the first article’s comments, as they are relevant to this topic. There are 5 kinds of cards: Pokémon (“basic” and their “evolutions”), Energy cards (“basic” and “special”), Trainers, Supporters, and Stadiums (frequently abbreviated “T/S/S”). Note: To make things more difficult to follow as a beginner, the rules are changing at the end of April 2011 (the so-called “Black and White” rule changes), with the following change in terminology: all Trainers, Supporters, and Stadiums will now have the umbrella term “Trainers,” with former “Trainers” now becoming “Trainer Items,” “Supporters” becoming “Trainer Supporters,” and “Stadiums” becoming “Trainer Stadiums.” If you are just coming into the game, you will probably only ever know the new terminology, but be aware that everything you read that predates that change will use the old terms. As far as Pokémon go, you need to know that there are nine different “types”: Grass, Fire, Water, Metal, Electric, Fighting, Psychic, Dark, and Colorless. This is important because different types of Pokémon need different types of energy to power their attacks, and so there are the same nine kinds of Energy cards. It is also relevant because different types of Pokémon have weakness to certain kinds of attacking Pokémon, and resistance to other kinds. Theoretically, at least, this means that any kind of deck may be well-suited against some decks, and not so well-suited against others, based on the combination of types of Pokémon in that deck. 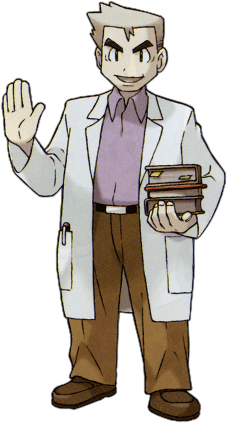 And as I noted above, Pokémon are also sorted by whether it is “basic,” or an “evolution.” An evolution of a Basic Pokémon is typically a stronger variant of its ancestor, and there can be up to two evolutions (called “Stage 1” and “Stage 2”), although not all Pokémon have evolution cards that are currently playable. An evolved Pokémon has a different name than the Pokémon it evolves from, so while it is also subject to the four-card limit, it does not affect the card count of the “lower” Pokémon. When you evolve a Pokémon, you replace its abilities, usually for the better. 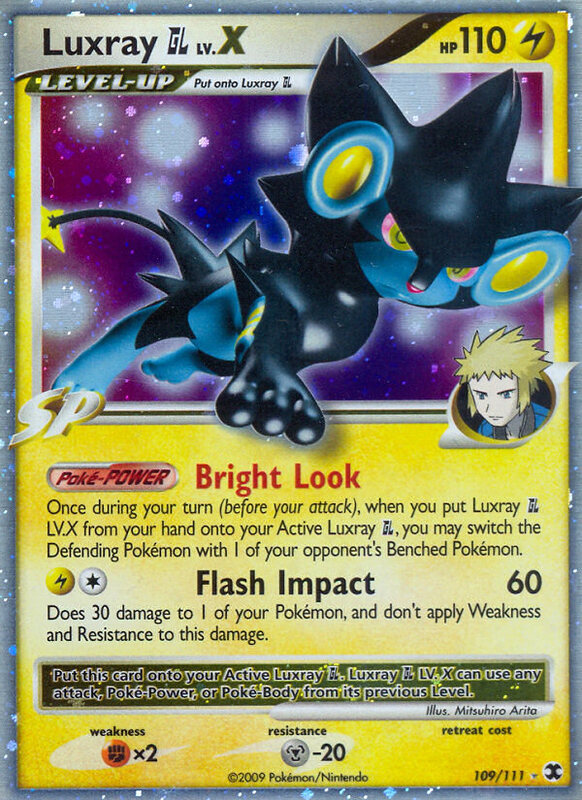 But because nothing is that simple, there are special “level-up” cards, also known as “Lv.X” (I say it “ell-vee-x”, but it is also “level-x”) cards, that are kind of like evolutions. 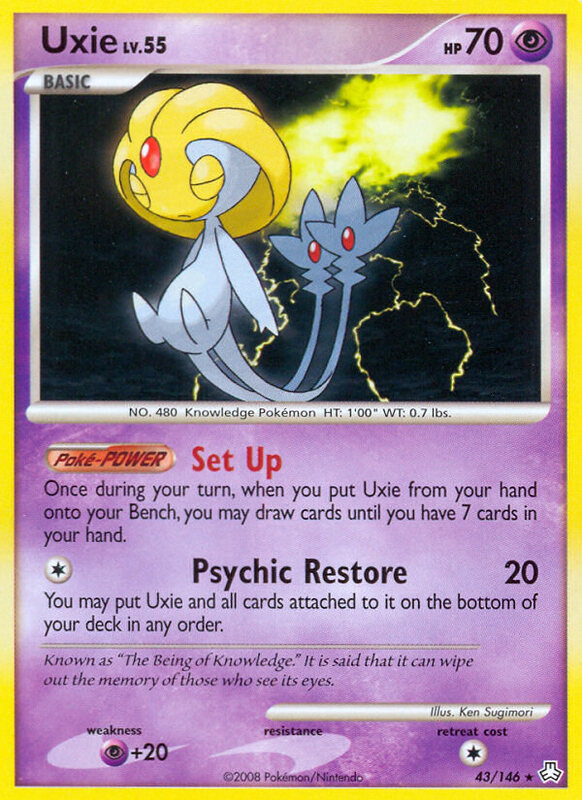 Unlike a normal evolution which replaces a Pokémon’s attacks and strength, when an Lv.X card is attached to a Pokémon, it will augment the basic Pokémon’s abilities instead of replace it. At right is an extremely popular level-up card in the current competitive scene. So, a deck is made up of a combination of these different types of cards, but not in some random jumble. A good competitive deck will be stacked to maximize your ability to implement a particular strategy to win the game, typically one that uses one or two key Pokémon as your lead attackers. And by “stacked” I do mean literally, in that there will be multiple copies of key cards (up to the four-card limit of each) to ensure that you can play them when you need them, and to minimize the element of chance introduced by playing with a shuffled deck. A particular (but not the only) aspect of this “stacking” involves ensuring that, if your strategy depends on a Stage 2 Pokémon for attacks, you have enough of the Basic and Stage 1 variants to get them in play and evolving. Note that when reading about the particulars of a deck, you will often see something like “4-3-2 Gengar.” This means that that deck contains 2 Gengar (a Stage 2 Pokémon), 3 of its Stage 1 ancestor (Haunter), and 4 of its Basic ancestor (Gastly). This short form tends not to be used in Six Prizes articles (thankfully), but you will see it elsewhere, and here in the forums. At the same time that you are maximizing your main strategy, a good deck will also contain enough back-up cards to thwart the attacks of your opponent. Lingo: A deck has one or more “tech” cards, which are used to slow down, or break, the main strategy of your opponent. Techs also give you one or more alternate attack vectors to your deck. Lingo: The “engine” for your deck is the collection of cards that enable you draw or replace cards in your hand, ensuring you have what you need before you need it. The card at left, for example, is a key card in the engine of “SP decks” which are a currently a powerful deck archetype. Note how it enables you to draw different kinds of cards, so you can tune what you draw to the circumstances of the game when you play it. And the card at right is an example of one that allows you to maintain a certain number of cards in your hand at all time. Some decks thrive on having an engine feeding them cards all the time, especially at the opening stages of the game. These are called “fast” decks. Other decks thrive on shutting down the engine of the opposing deck and crippling their ability to implement their main strategy. And some decks will attempt to do both, or at least will be “teched” do do both, and the player’s experience enables them to read their opponent’s strategy and play appropriately. 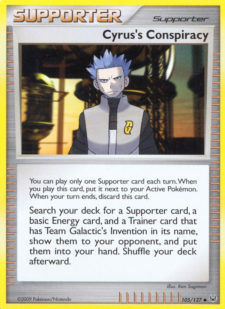 Lingo: A “trainer lock” occurs when a card is played that prevents one, or both, players from playing Trainer cards, often to the detriment of their engine. Pokemon ParadijsWith those deck fundamentals out of the way, I would like to switch gears and discuss the “metagame.” Boy, is that ever an overused word, which is frustrating because there is no clear definition that I can find. By consensus, it usually refers to the common strategies and deck archetypes currently in play. Often, it is used with a locality twist (e.g., the “UK metagame”), implying that the strategies and dominant decks are somewhat regional. Lingo: The term “metagame” or “meta” is more precisely the “dominant strategies” qualified by time or location. But of course, only do that in your head. When you talk to players, just say “meta” like you’ve been studying it all your life. A less fuzzy concept than “meta” is “archetype” which refers to a deck “skeleton” that implements a specific strategy. An archetype may be just a few cards, but is more often at least half a deck to include the main attack vector(s) and the core engine. 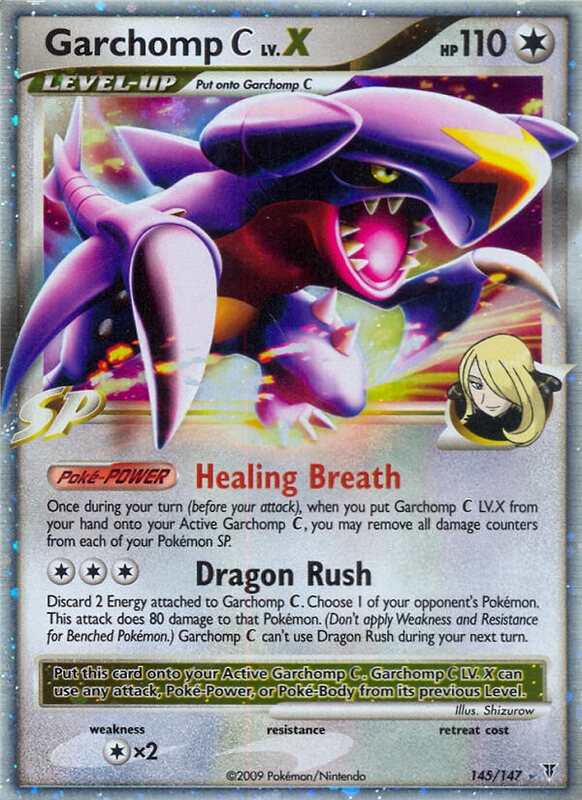 The name of an archetype will be some clever combination of the key card names, such as LuxChomp (based on Luxray and Garchomp) or Vilegar (Vileplume and Gengar), to name but two examples. Pokemon ParadijsArchetypes are extremely useful to players getting into the game, because they describe prototypes for decks, often based on past success. An archetype provides some wiggle room for adding cards to round out the deck, and there is usually vigorous argument over how to tech an archetype deck to make it perform optimally in the current meta. How’s that for a mouthful of lingo? But if you parse it with my definitions above, you’ll see that it makes total sense. Remember I mentioned “mirror” matches earlier? If an archetype is extremely popular in the current competitive scene (such as LuxChomp), players will often be playing against a very similar deck. In those cases, it is the wiggle room — how the deck is teched — that will often decide the game. That, plus a bunch of skill, and some pure, dumb luck. Lingo: A rogue deck is like an anti-archetype, using unconventional or unpopular cards and strategies in an attempt to win by exploiting the fact that most decks will be built to battle within the current metagame. A rogue plays outside the metagame. It seems reasonable to suggest that all archetypes are just rogues that become very successful, and end up changing the metagame. Deck building refers to constructing your own “deck list” to suit some strategy you have in mind. Lingo: The “deck list” is simply the formal list of all 60 cards in a competitive deck, and includes the card name, number of occurrences of that card, and the set that the card comes from. You need to submit deck lists in competition. You would not want to embark on any deck building until you have a bit of playing under your belt, because you need to get a feel for how well cards work (or don’t work) together, as well as how others play the game. Most likely, you would start with a well-known archetype, and then tweak it in your own way. Then, as you gain more experience, one or more cards might catch your eye in a new expansion, and you think about how you can build a complete deck around them. Regardless of how you approach your deck building, though, you will get to the point where you need the cards. I went into this topic in some detail in my first article, but the comments to that article highlighted several other approaches that deserve to be mentioned. Finally, I did not mention Trainer decks in my first article, primarily because I did not have a great experience with the ones I got initially (they were really old, containing out-of-format cards). But apparently the new Trainer decks for the current expansions are quite good (according to a commenter on my first article), so it is worth checking them out. However, you can be sure that you won’t be able to build highly competitive decks just with them. I hope that this article has given you a feel for how Pokémon decks work in the context of a game and, more importantly, some background to enable you to better understand the great content here and at other online sites. The next article will talk more about strategies that are commonly discussed, with a whole lot more lingo decoded. Until then, have fun with your kids. ‘Stacking’ is a really bad word to use when talking about decks. I know exactly what you mean, but it might be best to find another way to put it. Any parent saying ‘yeah, my kid totally stacks his deck’ is likely going to get the kid in a lot of trouble without meaning to. Apart from that, this is a brilliant guide. There are only eight basic energy cards, Colorless has no basic energy. Only error I see. Good catch. Hmm, I wonder how that slipped by the editors? Try not to confuse ‘Lv. X’ (Level X) cards with evolutions by calling cards “Level 2” instead of “Stage 2” e.g. Gengar Stage 2 not Gengar Level 2, as this mixes up with Gengar Level X.
I wish I could change that, as that is kind of serious. “Metagame” is part of the card game, but it is the part of the game you play outside of physically shuffling and slinging the cards. The meta-game is the game you play when you observe trends in archetypes and the way they are tuned, then choosing and tuning your strategy to take advantage of this. For example, if a lot of players are playing “X” or “Y”, you can build and tune your deck to have an excellent match-up against “X” and a fair to slightly favorable match-up against “Y” and take that into a tournament. That’s metagaming. You are GODLY!!! THANK YOU THANK YOU for making sense out of Jabberwockese!! I will be printing, laminating and binding every page of these articles into a book. And Help!! PLEASE!!! I’m sorry to bother you with a trivial inquiry, but I can’t manipulate the less intrusive alternatives. 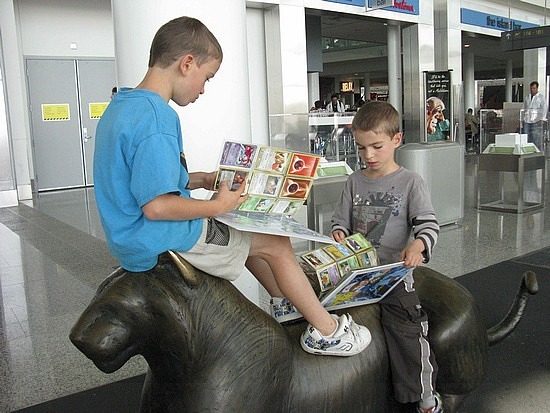 I’ve just bought a huge bunch of Pokemon via on-line auction as a tool for my 6-year-old to be more social. Some will turn out to be fakes, some so outdated no one wants them anymore, some too torn up and such. Not a problem. BIG BIG PROBLEM: NO ENERGY CARDS. What’s the most sensible way to get my hands on some – dealers like Toy Wiz (or somebody a whole lot more reasonable, ’cause Toy Wiz is outrageous and it makes me MAD to give it money!). If I’ve gotten a mix of everything from Platinum set cards down to Pikachu (he’s banned now? ), would Basic Energy cards be my best bet? THANK YOU THANK YOU for any advice you can offer. And then of course you could buy theme/starter decks which will contain basic energy too. Wow, thanks for the enthusiastic feedback Lauren. I am kind of embarrassed that part three still has not been written, but this might be the final incentive. As to energies, Adam said what I would have said. Once you figure out what kind of energies you want based on the deck(s) you put together with your collection, it should be easy to load up on energies you want.